Sell My Car In Cardiff. 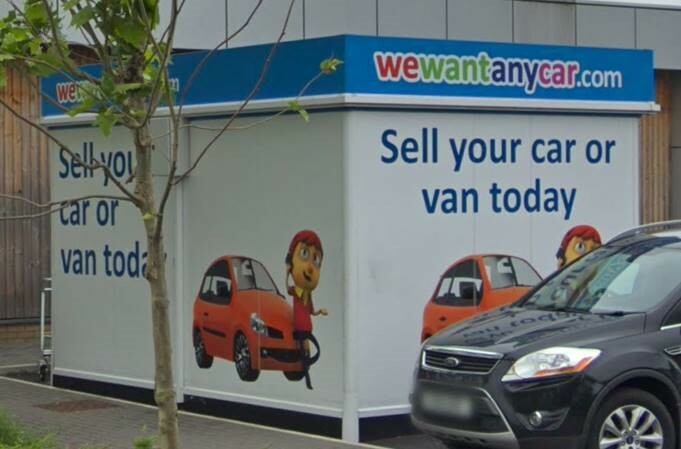 Quick Way to Sell Your Used Car In Wales. Visit our Cardiff branch to sell your car quickly and easily in the Cardiff area! Selling your second hand car in Cardiff with We Want Any Car is a fast and safe way to get quick cash into your bank account. Our dedicated team will help you save both time and money, with no need to advertise your vehicle or deal with a non-serious buyer wasting your valuable time. To start the car selling process, just enter your registration number and vehicle details into our free car valuation tool you and will be able to see your car’s value. You can then book an appointment with the knowledgeable staff at our Cardiff office. Our Cardiff pod is located on Cardiff Gate Retail Park which you will find on Dering Road, a short distance from M4, junction 30, and not far from A48. Served by Martin today at Cardiff Gate. Very helpful, thorough and received a great deal. Excellent service, rep was fantastic. Got less than the online offer but expected that. Nice smooth transaction. Excellent service, appointment made on line to visit site, valuation very close to that on line, payment arrived in my account as promised. First time using this type of service and the 5 star service I received from Paula in the Cardiff office means that I would have no reservations about using them again. The price offered was the best price around, with no haggling,and the money was received on the day stated. Was quick easy and simple process the lady was really nice and polite as well. Nicola was lovely. Very good experience with Paula at Cardiff branch. Nice to deal with a woman in a "car" context. Excellent service and your representative, Paula, was fantastic.